Home page > Blogs > Quarto Gifts > Gift Ideas & Trends > Now Your Only Job…Don’t Lose the Logbook! Now Your Only Job…Don’t Lose the Logbook! How many times have you forgotten your login information for various websites that you may be a part of? The limit does not exist…..until now! 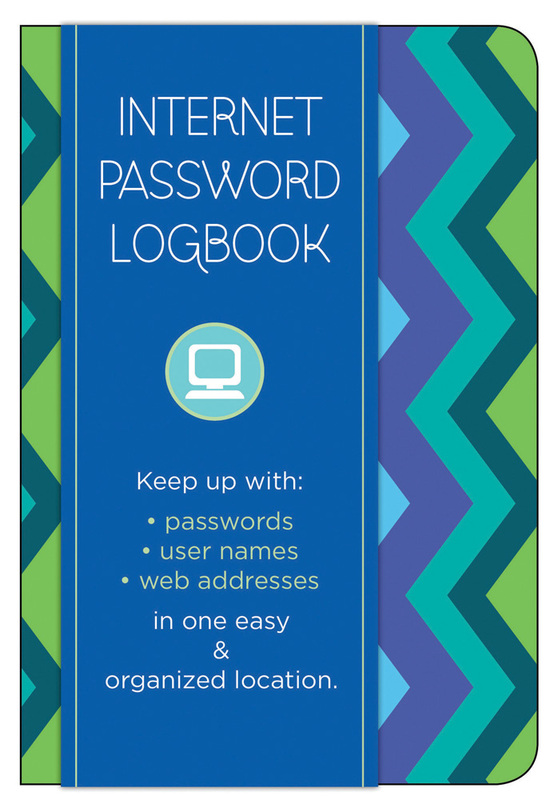 The Internet Password Logbook is a way to keep track of all usernames and passwords that you may have, as well as a way to alphabetically organize all of the websites that have become a part of your world. You will no longer have to recreate passwords or sit in front of your computer screen wondering which letter in your username you could possibly be forgetting…Keep track of everything you need, all in the convenience of one book! Now just make sure you find a good hiding spot for the logbook (just don’t forget where)! This logbook is as pleasing as it is useful. The perfect place to keep passwords, websites, and additional notes. Although it’s important to safeguard them, you might be keeping them on scraps of paper or post-it notes. Using this journal will allow you to keep them all together in a discreet location. Internet Password Logbook is handy and cheery, including color inserts of bright modern patterns to enliven the pages and make using the book more of a pleasure than a chore.